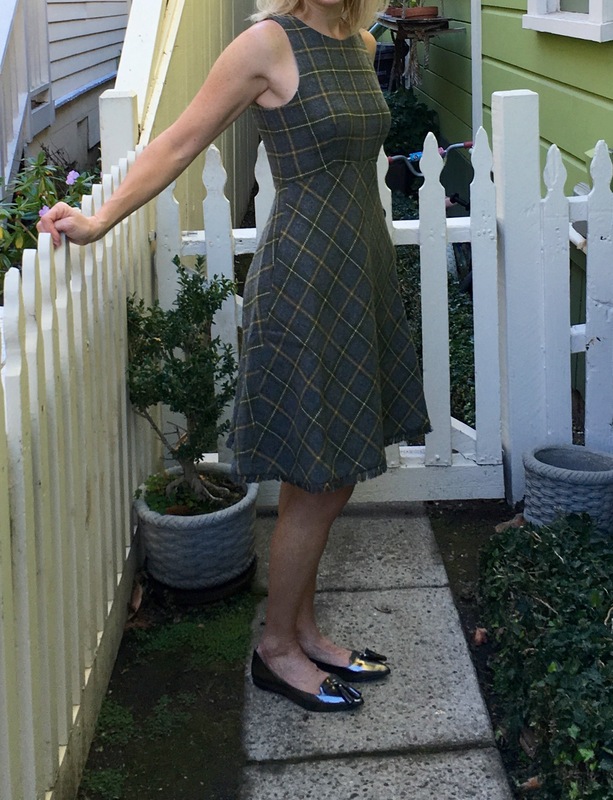 I wore this plaid dress recently to a family get together. It’s all Banana Republic, the shoes and the dress. I got it for about half the tagged price, so I thought it was a good deal. It was a beautiful day, so I could actually wear it without a sweater for most of the afternoon. The dress has pockets! Few things can sell me on a dress faster than pockets. I love them. I thought that I could turn it into more of a late fall option by adding a sweater and boots. I might look like I should be wandering the Scottish Highlands, but that ok. I would take that.